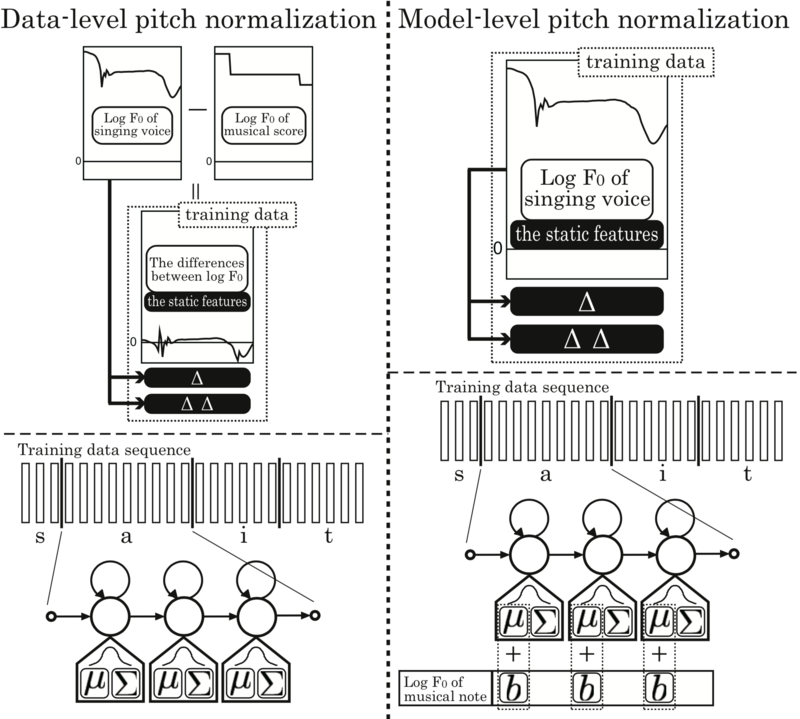 Keiichiro Oura, Ayami Mase, Yoshihiko Nankaku, and Keiichi Tokuda"PITCH ADAPTIVE TRAINING FOR HMM-BASED SINGING VOICE SYNTHESIS"
 T. Yoshimura, K. Tokuda, T. Masuko, T. Kobayashi, and T. Kitamura, “Simultaneous modeling of spectrum, pitch and duration in HMM-based speech synthesis,” in Proc. of Eurospeech, 1999, pp. 2347–2350. 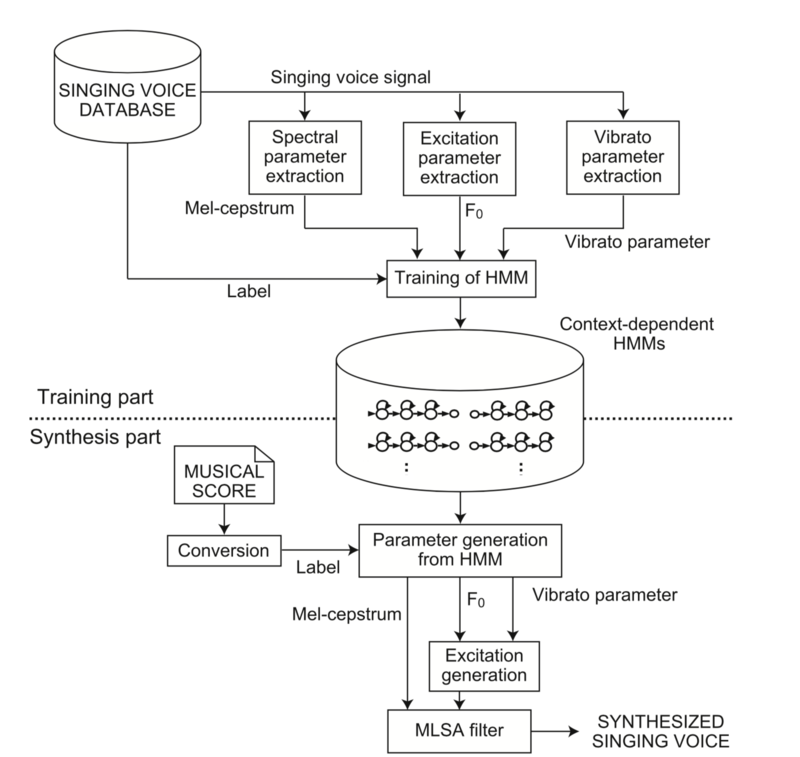 K. Oura, A. Mase, T. Yamada, S. Muto, Y. Nankaku, and K. Tokuda, “Recent development of the HMM-based singing voice synthesis system ―Sinsy,” in Proc. the 7th ISCA Tutorial and Research Workshop on Speech Synthe- sis, 2010, pp. 211–216. A. Mase, K. Oura, Y. Nankaku, and K. Tokuda, “HMM- based singing voice synthesis system using pitch-shifted pseudo training data,” in Proc. of Interspeech, 2010, pp. 845–848. K. Saino, M. Tachibana, and H. Kenmochi, “An HMM- based singing style modeling system for singing voice synthesizers,” in Proc. the 7th ISCA Tutorial and Re- search Workshop on Speech Synthesis, 2010, pp. 252– 257. 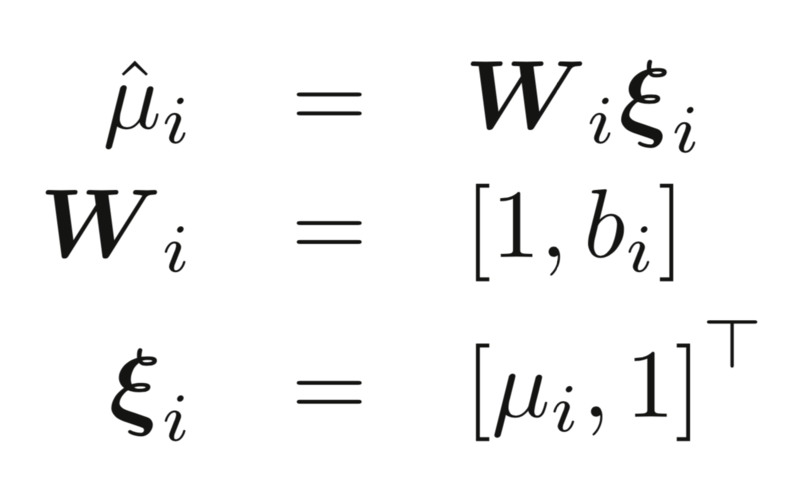 Yao Qian, Hui Liang, and Flank K. Soong, “Generating natural F0 trajectory with additive trees,” in Proc. of In- terspeech, 2008, pp. 2126–2129. Heiga Zen and Norbert Brauns chweiler, “Context- dependent additive log F0 model for HMM-based speech synthesis,” in Proc. of Interspeech, 2009, pp. 2091–2094. 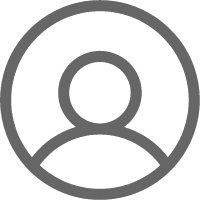 A. Kuramatsu, K. Takeda, Y. Sagisaka, S. Katagiri, H. Kawabara, and K. Shikano, “ATR Japanese speech database as a tool of speech recognition and synthesis,” in Speech Communication, 1990, vol. 9, pp. 357–363. J. Yamagishi and T. Kobayashi, “Average-voice-based speech synthesis using HSMM-based speaker adaptation and adaptive training,” IEICE Trans. Inf. & Syst., vol. E-90D, no. 2, pp. 533–543, 2007. 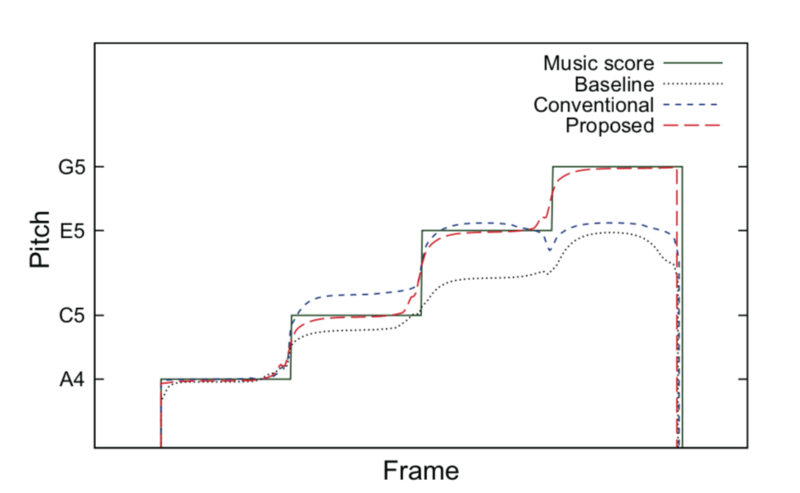 K. Saino, H. Zen, Y. Nankaku, A. Lee, and K. Tokuda, “An HMM-based singing voice synthesis system,” in Proc. of ICSLP, 2006, pp. 1141–1144. Copyright © GloomyGhost All Rights Reserved.